It’s a slippery slope with Janathon or Juneathon. If you keep up running every day that’s fine, you can’t ruin the run streak. But once you’ve broken that, for whatever reason, it’s far too easy to do so again. Last week I missed a run, and ran only a token 300m on another day because of the snow, which made today’s wiping out all the more easy! I was home by the afternoon so had a short opportunity to run in the daylight but I was hungry and cold so postponed it until after I picked up the boys. They were late requesting me pick them up and when running round my 2 mile loop (in the car) to get them after 6pm I noticed the sleet, the slippery wet pavements and the sudden acute pain in my calf muscles. Janathon day 23. Home circuit. I found my hand weights and did lots of arm and shoulder exercises , some proper press ups (my son’s didn’t let me skive) plus 50 squats and 20 lunges. Categories: Janathon, running | Tags: excuses, foam, Janathon | Permalink. That foam roller looks eeeeevil! Well done for using it, my basic roller is currently collecting dust behind my bookshelf. Snap! That foam roller looks like a beast that I would not like to fight. Bravo! It’s enough just resting my calves on this one and moving them side to side! Yooooouch! Ugh, I bet. It’s enough just resting my calves on my flat one! 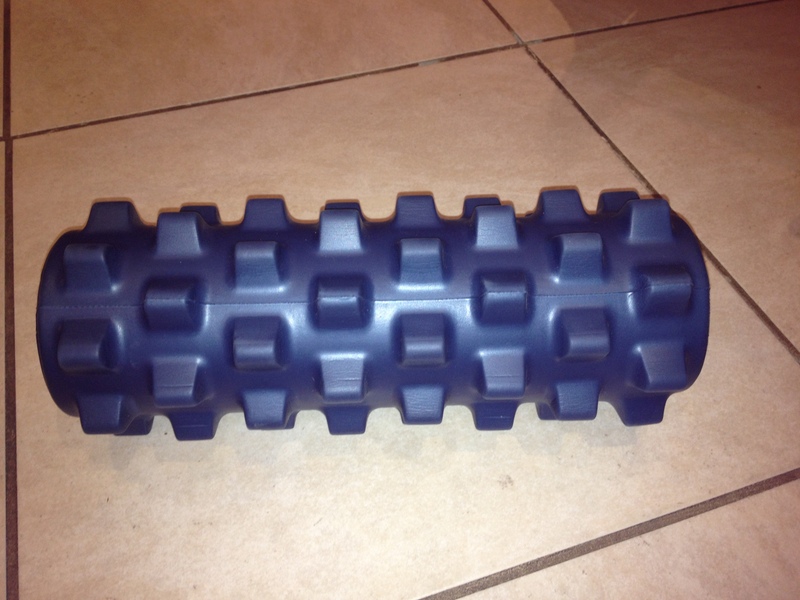 Oh,so that’s what a foam roller looks like.I’d imagined something else entirely.That looks more like an instrument of torture.Ir something from Anne Summers…. That looks insane. My Grid is tough enough,and that has barely perceptible ridges n it. This thing must be hellish!! Ye gods that looks vicious. Are you sure it’s a therapy device and not an implement of torture that someone left in the therapy aisle by mistake? Good for you – you may not have run but I bet what you did was harder. foam roller does look evil. Would much prefer a nice hot bath 🙂 I am a wimp! Wow, I know it’s been said a dozen times already but that foam roller does really look evil. You should check out The Grid, it’s really a completely different experience.